I was just talking with a friend of mine who told me that traffic is down on his blog, and he’s considering throwing in the towel. I encouraged him to stick with it because I really believe his voice matters. I hope he sticks with it. But it got me thinking about how often I consider throwing in the towel too. I’ve been pretty fortunate for most of my blogging “career.” I haven’t taken too much criticism. But recently I’ve taken a few punches to the gut. They were the kind of punches that have made me really second guess whether I should even be in the ring. Am I ready? Does my voice matter? Presentation was below vapid, absolutely no content, Speaker did not have projector ready, did not speak well. Did not even share concrete thoughts about creating content, and absolutely no hint of technology development. It was an insult. The author’s pedestrian story telling caused me to contemplate putting the book down on several occasions. Dan’s perspective and experiences are not unique and hardly warranted the writing of a book. 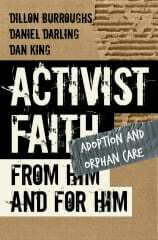 All of this coming during a time when I’m launching Activist Faith: From Him and For Him. And right on the heels of me going out and asking some important people I know to endorse the book. We had some really great endorsements coming in, until one friend told me that he couldn’t endorse it. He said there were some things in it that he didn’t completely agree with. Not horrible stuff, just stuff that would put him a tricky situation with some others if his name was associated with the book. And actually, I kind of agree with him. Not to run off on a rabbit trail, but I don’t always agree 100% with my co-authors on the topics we discuss in the book. But I’m also glad that we’re sitting at the table together having these conversations. So here I am. I’m at a time in my life where I’m seeing some of my best personal and professional growth and success. And I’m considering throwing in the towel. I remember one of those “conversations with God” I had several years ago when I was getting discouraged as a new blogger. I was discouraged because I felt like I had important things to say, but my 15-20 hits per day weren’t indicating that I was making any impact. As I pondered this conversation, I started to think about a couple things that have fueled me for a long time (and still do). Don’t ever let anything… self-doubt, blog traffic numbers, hater-criticism… NOTHING should ever stop you from sharing the story that God puts on your heart and of what He’s doing in your life. You don’t have to look far into the Bible to see people who waited a long time and/or endured great trials in order to carry out God’s will for their life. There will be hits, sometimes hard ones. Get up, and go back at it. With Him in our corner, how can we lose? My prayer today is this: Lord, give me the strength to go another round. Give me the strength to take the hits, and the endurance to stay in the fight. May I not get distracted or thrown off my game. And may the only thing that towel gets used for is when You wipe the sweat off my brow before sending me back into the ring for the next round. Amen. The words “stay the course,” came to mind as I read this. Your conversation with God is a carbon copy of one I had with Him recently right before I went public with my little blog. My fear of negative feedback and failure has kept me in a perpetual “throwing in the towel” mode for years. Because of encouragement from people like you 🙂 I made the leap, and even if I never have huge readership, I’m writing and processing the story the Lord’s given me, which fuels my desire to be close to Him. That alone is worth it!! 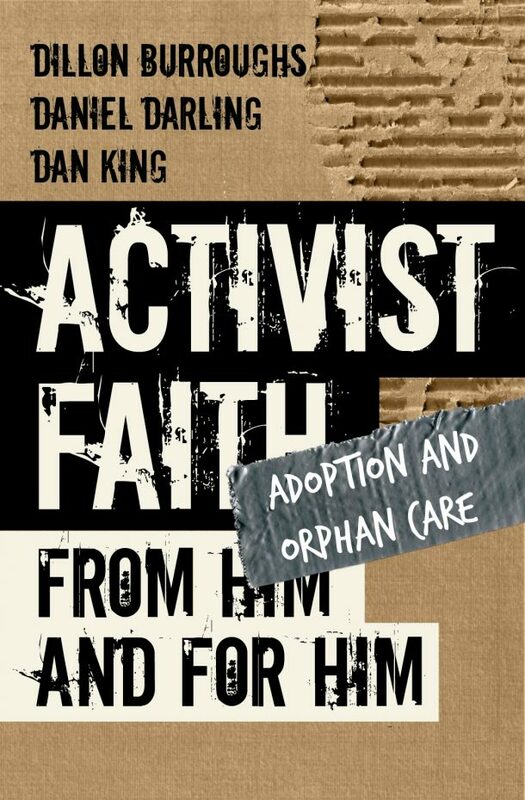 You’re making a difference, Dan King…don’t let those insensitive jabs get you down. God’s got huge things ahead for you!! Super excited to see where He takes you. And super thankful for encouraging, heart-felt dudes like yourself, who are willing to get back in the ring when the going gets tough. i’m glad that you took the leap jen vick! the world definitely needs more voices like yours. keep going, and don’t get discouraged. and if you need some encouragement, you know how to get in touch with me! seriously. and thank you for the encouragement! i’m humbled and honored to be in this space where i have a voice that resonates with people like you. good! i’m glad that i was obedient in writing this! Wow, This is my B-12 for today. I really needed this today, because there was a towel in my hand! nice! i think that’s the first time something i’ve written was referred to as B-12! and the more i hear/see comments like this, the more glad i am that i was obedient in sharing it. i had a feeling that others needed to hear it just as much as i had to remind myself of it. So glad you continue to press through, Dan, even when the occasional criticism is lobbed your way, or the bad review comes. I thought you might enjoy this photo-graphic, Dan. I made this earlier this week when I was writing about throwing in the towel. We can “throw it on a nail” instead. We can give it up to Christ. How did I miss this post???? Must have had a towel over my head! LOL… at least you weren’t throwing it in yet! I did see this graphic on Facebook, but I still need to go read your post. But the graphic is powerful, and one of the things this week that has had me thinking about this subject so much… not to mention the friend I spoke of at the beginning of this post. And thank you for sharing Amy Charmichael’s wise words, and for your encouragement! You are such a great friend and incredible blessing… more than you know. I needed your perspective today. It’s not always about the many that read or listen, it’s about that one GOD draws to our words–that one who does read and listen and is changed by the God who gives us the words to speak. thanks for the tweet! and yes… and i’m always amazed at how the stuff i do touches someone. i’ve written posts that barely got any views, and no comments, and then weeks/months later someone will tell me that they’ve been soaking on those words ever since and how it really caused them to change (whatever). and there i am over-evaluating it all and thinking that it fell on deaf ears… not realizing the deep impact on a life. Sometimes, in my ministry life and in my blogging/writing life, I have to realize that if what I’m doing, what I’m saying, is making a difference for one person that is enough. Dan King. Pow. God speaks through you to me over and over again. Sometimes I want to punch you. Other times I want to hug you. This time, I can’t decide which option is better. #fistbump dude … you inspire me. ha! i’ll take the hug. i really appreciate you! Thank you, Dan, for being honest with us. You’ve encouraged me, and I know, countless others! Thanks for the encouragement, Dan. I really needed that. Just getting back into blogging and writing. Hoping to do some devotionals. Praying for the Lord’s leading. Yes starting is always difficult. To keep going is often difficult too. We are so used to immediate results in our culture, that it’s so easy for us to quit when it doesn’t go as well. But yeah, if we think it’s difficult for us, read about some Bible characters. Some of those people had like no results at all, yet they kept on doing it because that was their calling. I cannot say it any better then Amy Carmichael did, “If the praise of others elates me and their blame depresses me; if I cannot rest under misunderstanding without defending myself; if I love to be loved more than to love, . . . then I know nothing of Calvary love. Glad you persisted and kept blogging.